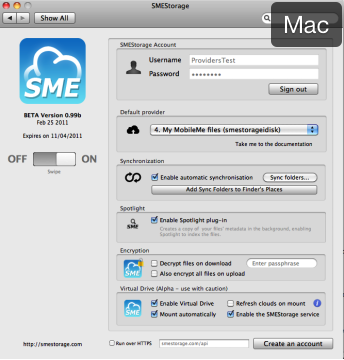 The Personal Cloud enables you to connect multiple Cloud File Services and be able to view and manage your files in a single file system from either Windows, Mac OSX, or Linux Operating Systems. As of April 2018, the Personal Plan is no longer available. Please use the 1 user Business Plan as an alternative. 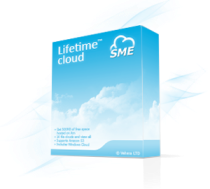 The Personal Cloud enables you to aggregate up to 30 Storage Clouds and manage all your Cloud Storage through a 'Cloud File System' direct from your desktop, FTP or WebDav. Google Docs, Google Drive, Google Storage, Google Sites, Amazon S3, iCloud, Microsoft Live Mesh (read only), Microsoft OneDrive, DropBox, Azure Blob Storage, Box, RackSpace Cloud Files, OpenStack Swift, Gmail-as-a-Cloud, Email-as-a-Cloud, Mezeo, HP Object Cloud Storage, S3 compliant Clouds such as (Eucalyptus Walrus), Ubuntu One Cloud, iKeepinCloud, PogoPlug, BaseCamp SaaS Service, IBM Connections Files,EMC Atmos, Office365, SharePoint, CloudMe, HostingSolutions.it, Scality, Alfresco (on-premise),Zimbra Briefcase, SafeSync(WebDav enabled), FilesAnywhere (WebDav enabled), SugarSync, Dump Truck, Memset Memstore, and any WebDav enabled Cloud. Use FTP or WebDav You can access any Cloud or File Provider you add over WebDav or FTP even if the cloud providers do not normally support these protocols ! 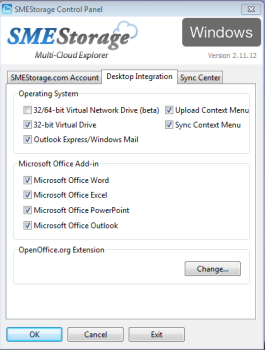 The Windows Tools feature direct access to Collaboration Groups for group files sharing. This feature will appear in later versions of the Mac and Linux tools. URL Link: Obtain a link for any file for use in other applications.